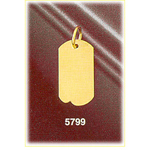 14k gold engraveable custom dog tag charms give your jewelry wardrobe a distinctive makeover integrating extreme style with personalized touches. 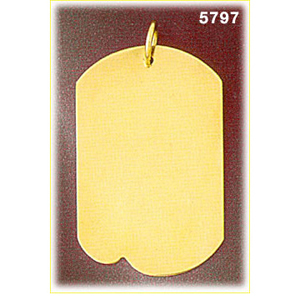 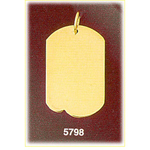 Ready to inscribe with your choice of custom laser engraved lettering, dog tag charms can be customized with yours choice of birthstone setting. 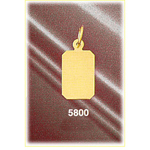 Pendant is crafted in 14k yellow gold featuring a polished finish with flat back, it measures approximately (22mm - 7/8") in width by (35mm - 1 3/8") in height and weighs 4.7 grams, it is recommended for necklaces.